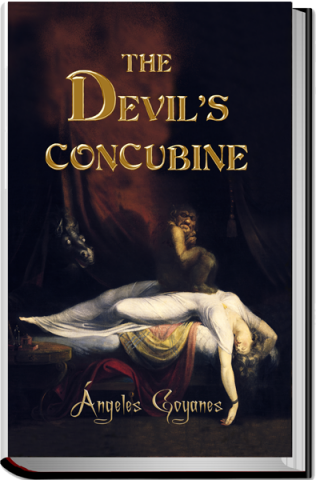 A few hours before her execution a woman narrates, in a fascinating confession to her priest, the story of her passionate love for a fallen angel. A story that plunges us into a world of terror from its beginning in 1212, during the French crusades, until its present-day ending. Through sensual and mysterious characters and settings, the protagonist reveals the amazing events that shape her supernatural existence. Loved by a fallen angel and tormented by others, Juliette lives through horrible, but also sublime experiences she confesses to only one mortal. This unforgettable story puts us in the presence of seductive, powerful, and passionate beings that move naturally between kindness and cruelty. It is also a poetic voyage into the heart of a fallen angel whose intriguing story is impossible to forget. The novel begins in France, during the Cathar conflicts. After the young protagonist’s family is brutally murdered by crusaders, she and a friend run away to Marseille, where they take a boat to the Holy Land to participate in the Children’s Crusade. This is only the beginning of Juliette’s astonishing journey, that develops across diverse geographic settings and time-periods masterfully described, mainly the crusades in France, Egypt, medieval Paris, the renaissance in Florence, and the pre-Columbian Americas.